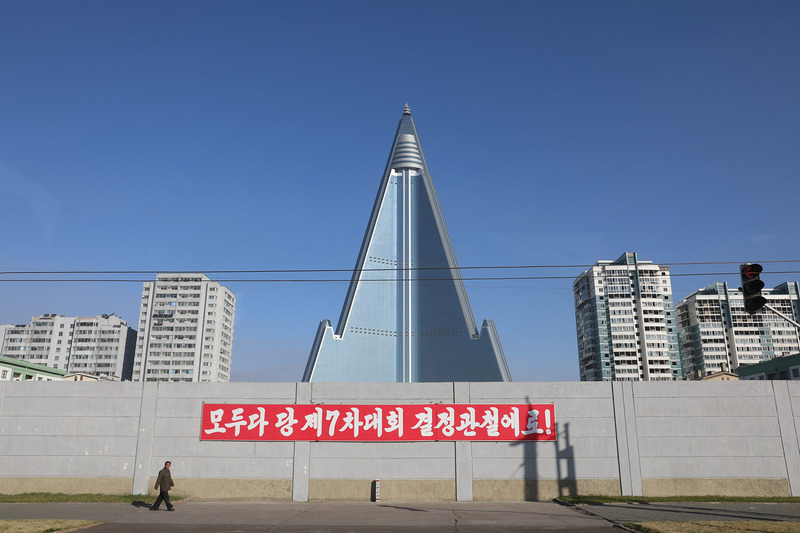 North Korea’s ‘Hotel of Doom’ – the Ryugyong – has long been a topic of global fascination. 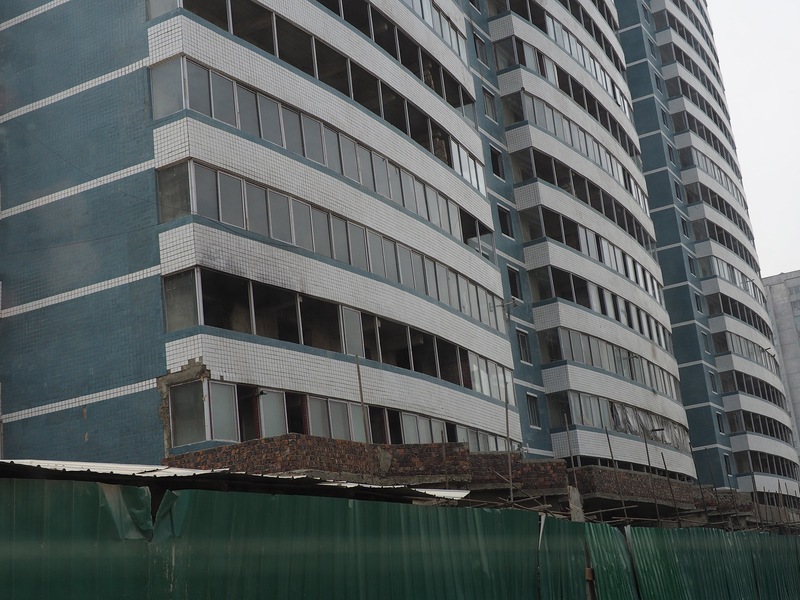 While the project was meant to be completed by the late 1980s, it ground to a halt in 1993 due to growing economic problems following the collapse of socialism in Europe and the Soviet Union. As part of a deal to install a nationwide 3G cell phone service, Egyptian telecommunications firm Orascom subsequently restarted construction in 2008 by adding glazing to the skeleton structure following nearly two decades of exposure to the elements. 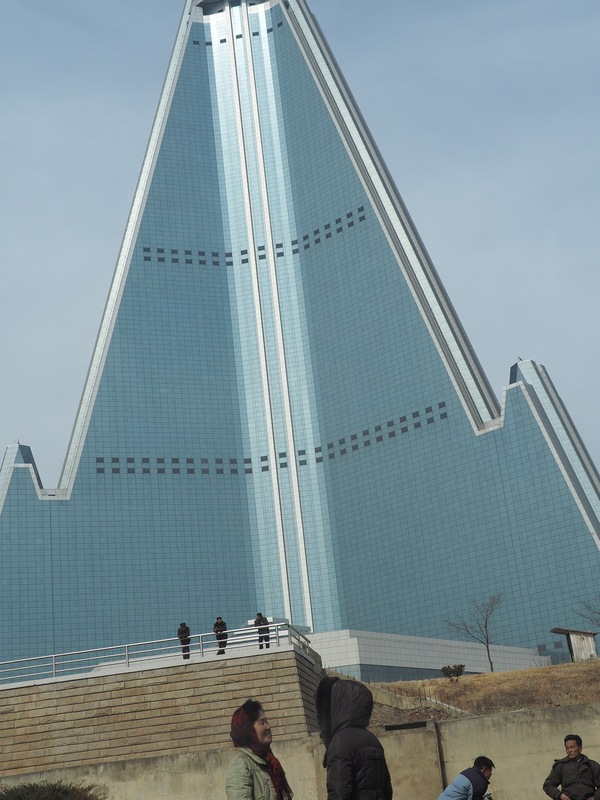 After the glazing was completed, Western tour firm Koryo Tours gained exclusive access to the top of the building, providing photos to the outside world for the first time. Suggestions the building might soon open did not take long to emerge, with the Kempinski hotel group stunning the industry in November 2012 when Chief Executive Reto Wittwer revealed the German brand would be opening 150 rooms at the top of building. 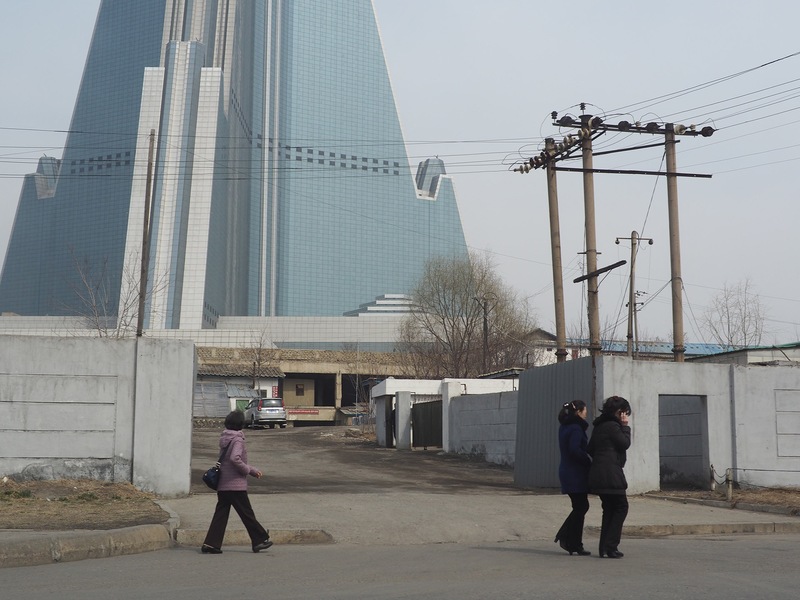 But not long after that initial announcement, Kempinski told NK News that they had abandoned plans to open their hotel, citing issues with market entry. 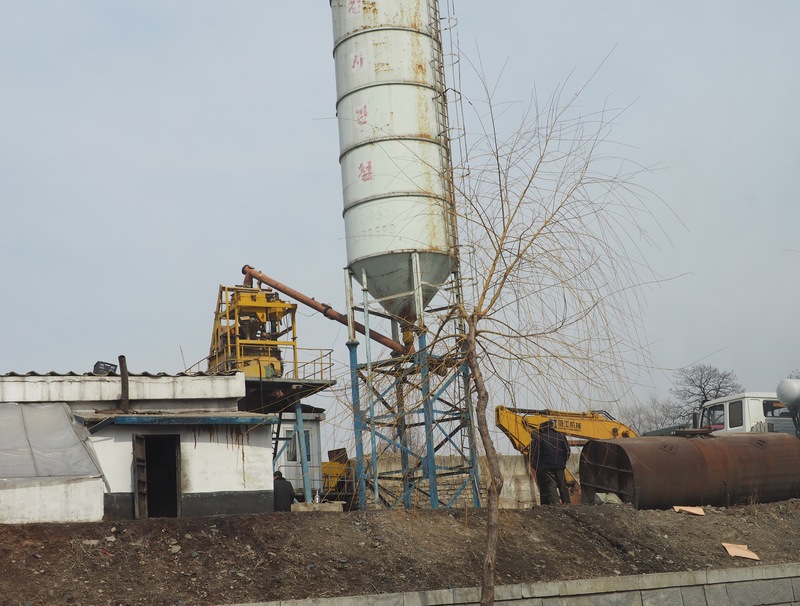 While construction of a concrete access route towards the base of the tower was since completed in 2014, construction at the huge tower appears to have mostly stalled. Small signs, however, have kept interest in the building alive. 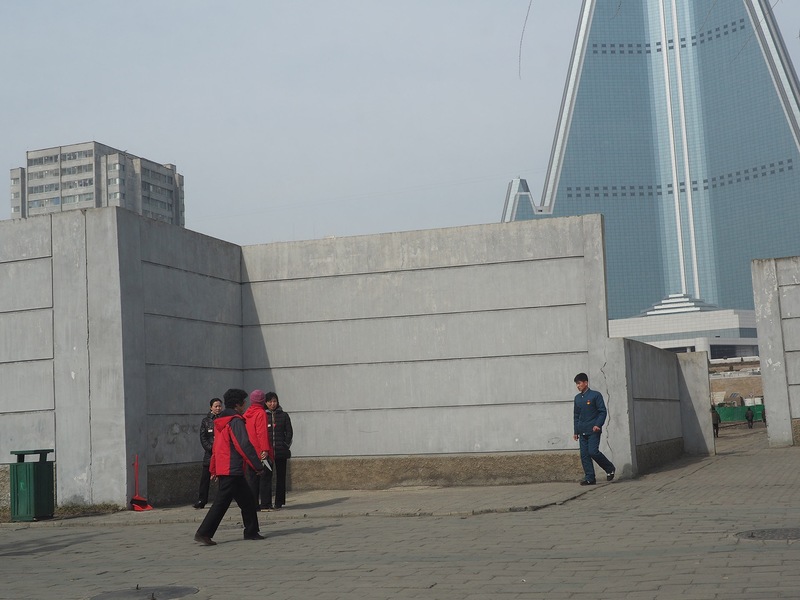 Lights were visible in at least three rooms at the top of the tower in a video exclusively obtained by NK News in October 2016, and a wall blocking people from the concrete access route completed in 2014 was demolished within the past month. What, then, will ultimately happen to the building? Only time will tell. But a selection of photos taken in Spring 2017 show that despite its “white elephant” status, the surrounding area is hardly devoid of life. 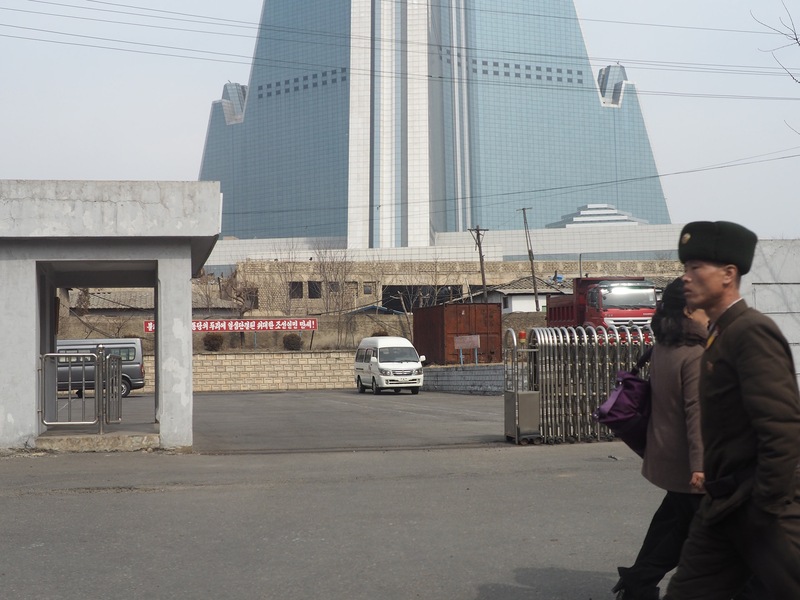 Citizens pass a large wall which blocks the main road from the site surrounding the Ryugyong Hotel. Behind the wall, recently pruned shrubs can be seen surrounding the area adjacent to the entrance. 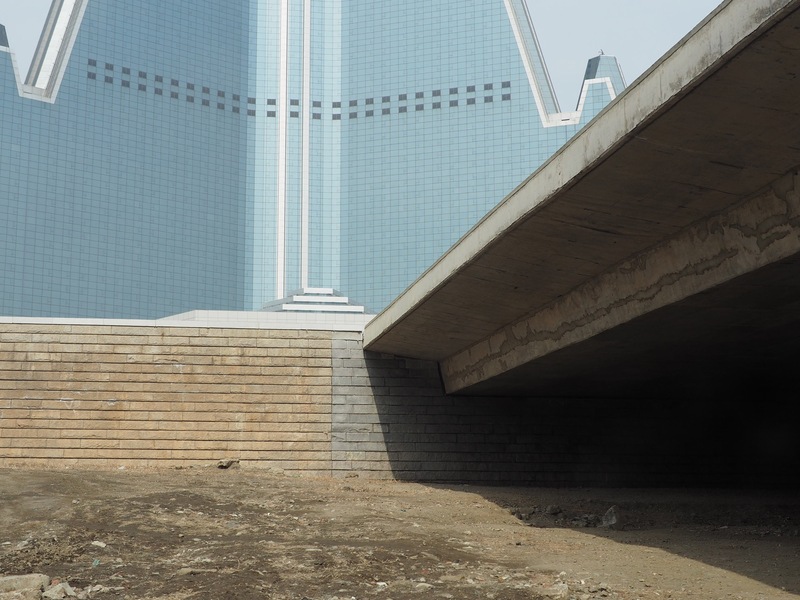 A man walks along a concrete access route to the hotel building, fully completed in 2014 as part of a much larger glazing project conducted by Egyptian telecoms company Orascom. 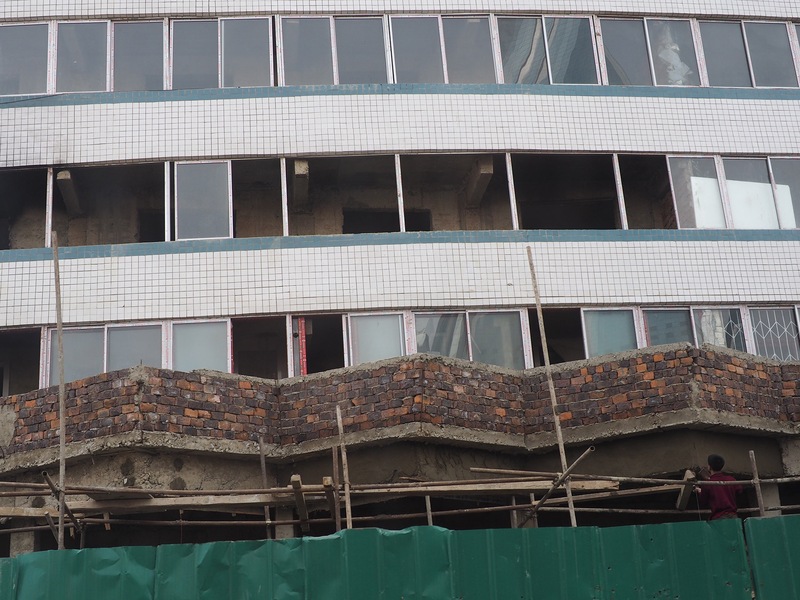 Despite the recent construction, the concrete appears damaged by the elements. 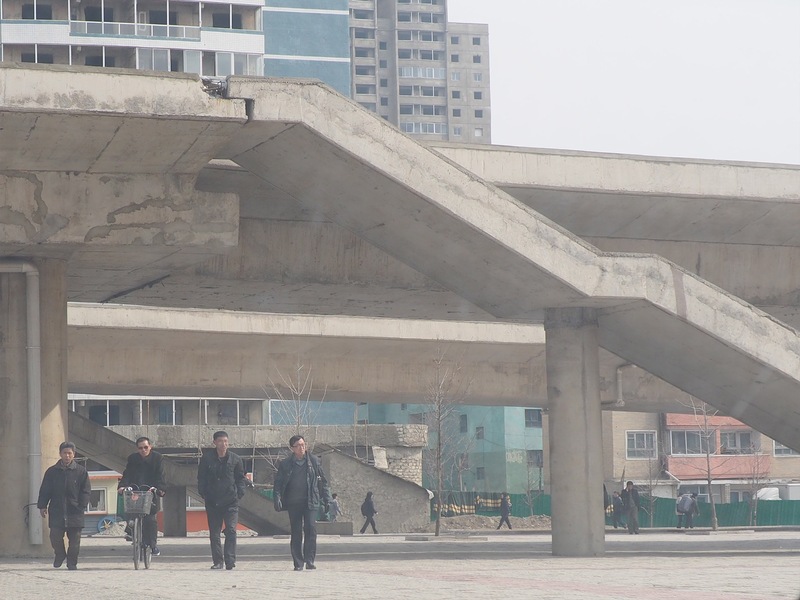 Citizens walk under the Ryugyong's concrete access route, which appears badly damaged around a seam joining the stairs to the platform. 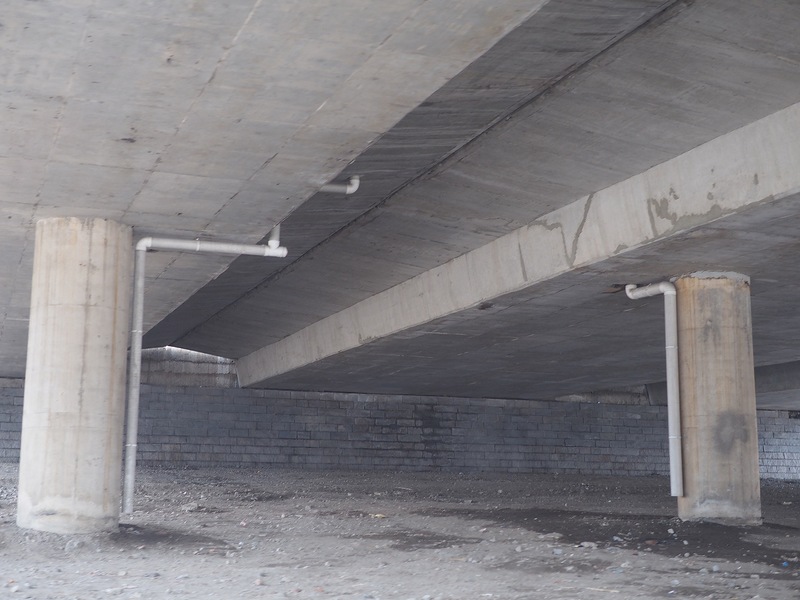 Plumbing systems to ensure the access route structure does not flood are visible, but homeless people are not. 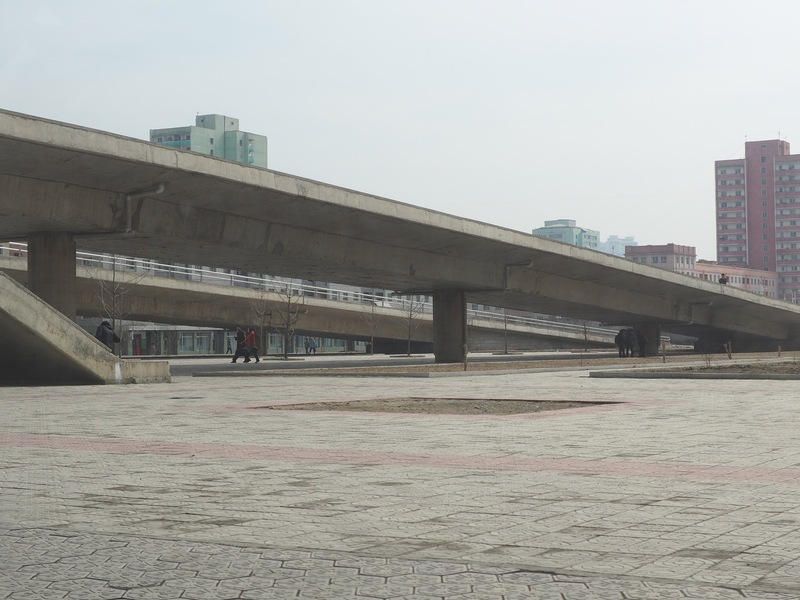 The concrete access route, which was completed in 2014, connects the road from the Potong bridge to the base of the hotel building. On another side of the structure, parts of a rusting old crane structure are visible alongside a Soviet-era vehicle. Old fashioned power and telecom cables adjacent to a low-level maintenance facility. Two apartment buildings nearing completion in Spring 2017. Future occupants will look directly out at the concrete structure joining the road to the foot of the hotel building. Exposed concrete within the units shows a rough texture, tiled over on the front side in blue and white. 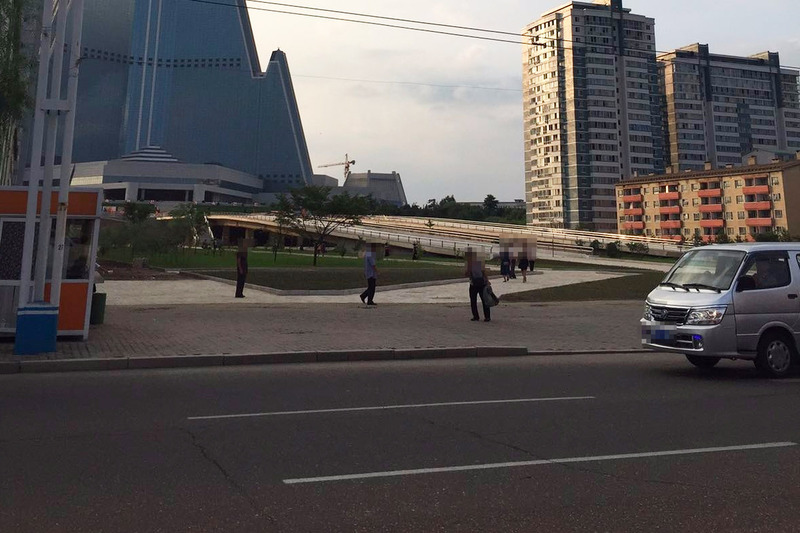 Construction equipment stands ready for use adjacent to the Ryugyong Hotel. Two new apartment buildings were nearing completion at the time of the photo, which both stand next to the concrete access route. 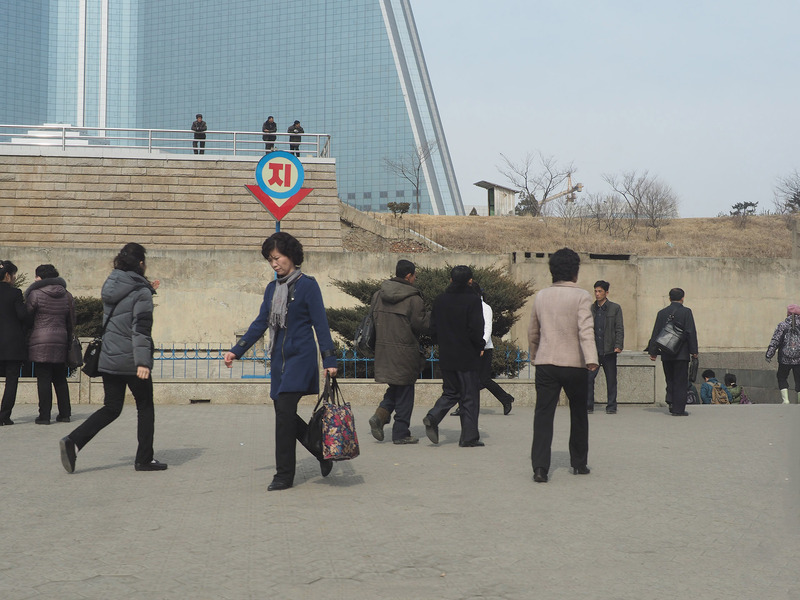 Citizens walk towards an entrance point to Pyongyang's Konsol metro station, which is on the city's Hyoksin line. 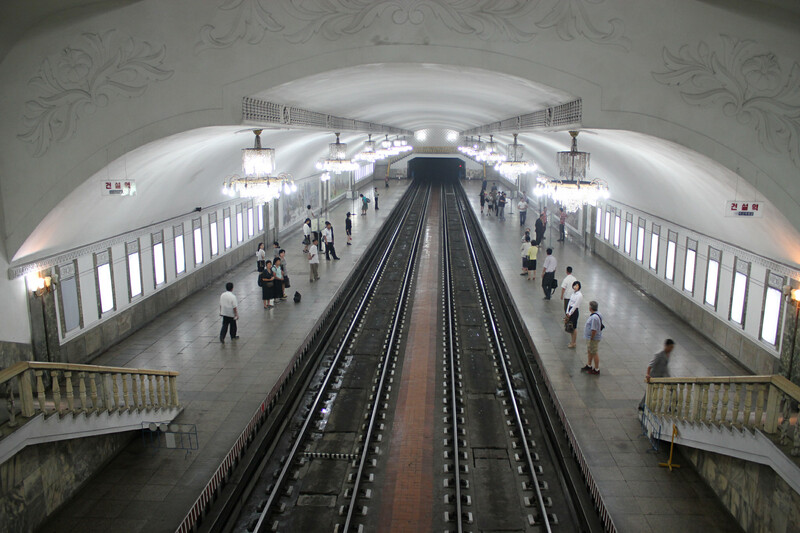 A photo taken inside the metro station, which is rarely visited by visiting tourists. Picture taken by Ray Cunningham, September, 2014. 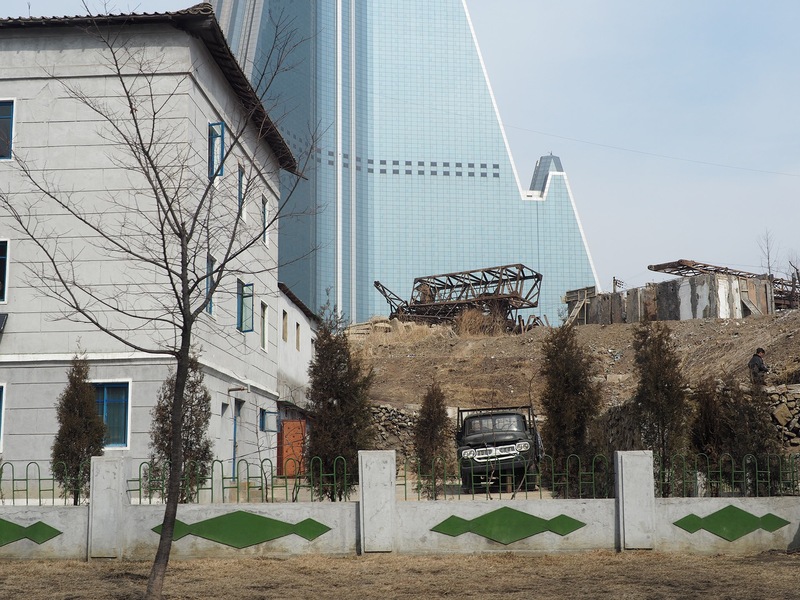 A red lorry – part of a major fleet in North Korea used for construction and transport of aggregates or coal – is parked in another access area at the foot of the structure. 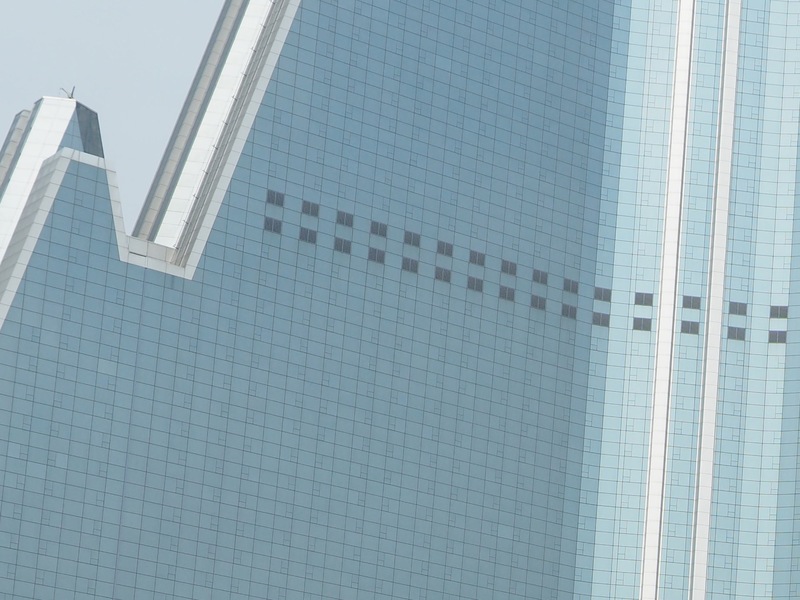 The sheer scale of the 105-story structure is striking from a close-up perspective. A lift for window washers to hang from can be seen in the top left of the picture. A wall blocks access to the concrete access route from the main road, which leads north from the Pothong bridge. Sign reads: "Everybody do it in accordance with the decisions achieved at the 7th Party Congress!" As of July 2017, the wall leading towards the concrete access structure had been removed, leading to suggestions construction may resume soon.